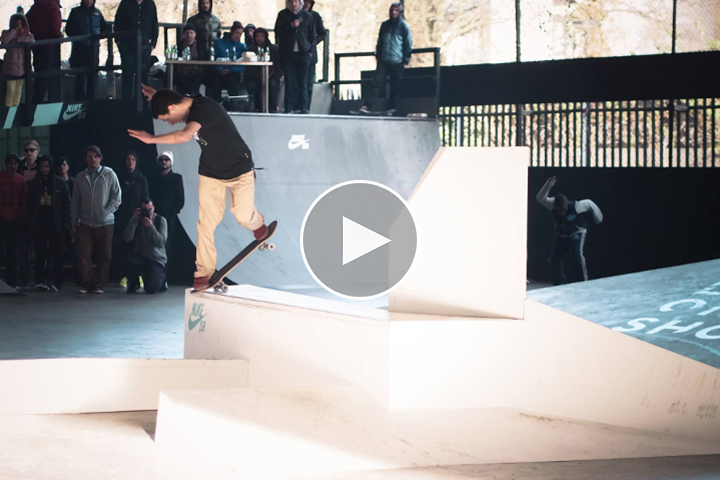 Nike SB recently offered the opportunity for skaters from across Europe to session the crazy One Shot obstacle at London’s BaySixty6 skatepark. The footage above features the 6 finalists from Spain, France and the UK who faced off in the best trick contest. The One Shot unit, which looks a little like a giant iceberg, can be skated from nearly all angles presenting a variety of options for creative skaters. Congratulations to Ben Garcia who took first place and the UK’s Jak Tonge who came in second. The Nike SB Lunar One Shot is available from stockists across the country now, including London’s Slam City Skates.